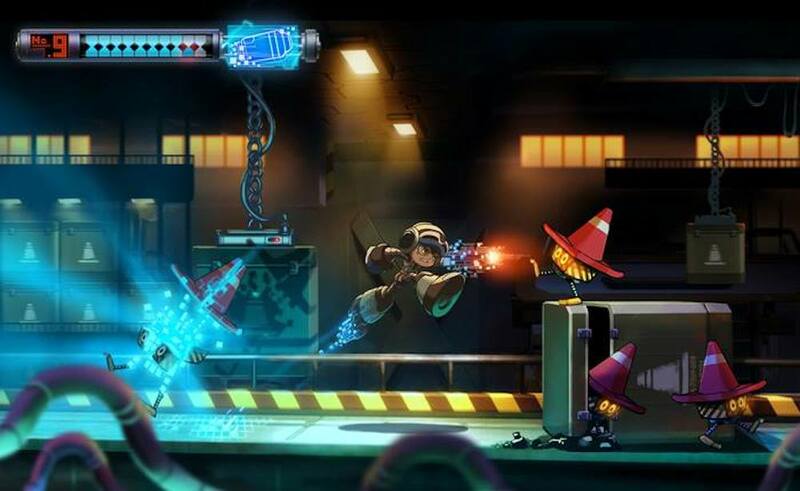 Keiji Inafune, the co-creator of the popular Mega Man video game, has had his dream of bringing back the original spirit of the side-scrolling platformer through a game called Mighty No. 9. In October 2013, a campaign for Mighty No. 9 was put up on popular crowdfunding site, Kickstarter, to help back its development. Fans of the video game series responded and 2 days after the site was created they had reached their goals and have collected nearly $4,000,000, which is way more than the proposed goal of $900,000. At Anime Expo held last weekend, they announced that they were once again launching another crowdfunding campaign to make it even better with bonus content and added features. This also allows people who missed out on the original campaign access to pre-launch copies, as well as other goodies such as: a retro manual, an art book, and more. This is great news for fans of the original platformer released by Capcom in 1987. During the Anime Expo, Keiji and his team at Comcept also teased fans of the game with a trailer for an animated series. Mighty No. 9 is due for release in 2015. If you want early access to the game and those digital goodies, you can head over to their site and pledge your support via PayPal. Major Patch Update for Dragon Age Inquisition is LIVE!